The Dubliners have brought home the gold. 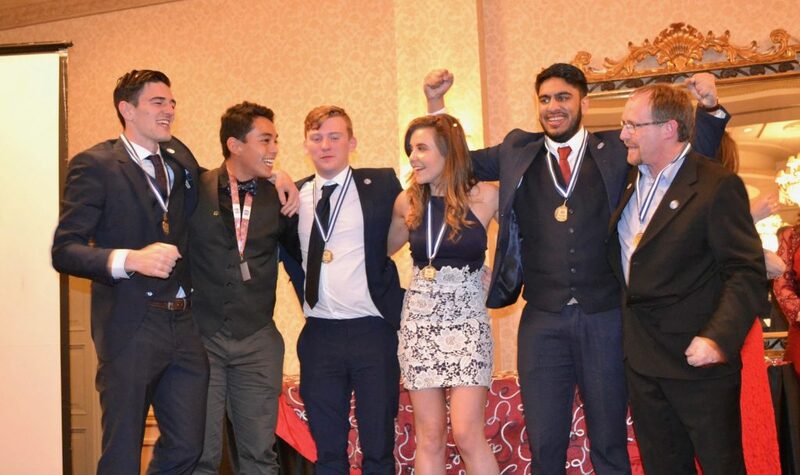 Last Friday, the team from Ireland’s Dublin Institute of Technology earned a first-place finish at the NIBS Worldwide Case Competition, thanks to a stellar performance in a close final match with Canada’s Bishop’s University. It was the school’s first win after several previous trips to the semi-finals. 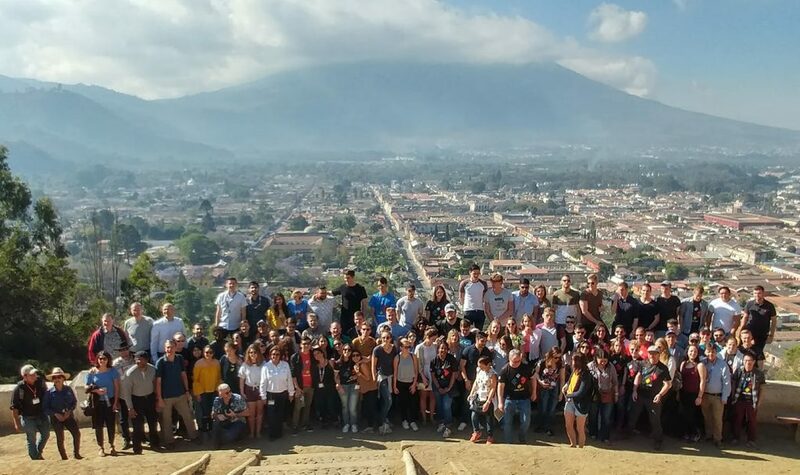 This year’s competition was hosted by Guatemala’s Universidad del Istmo—the first time the event has been staged in Latin America. The winning team, consisting of marketing students Keith McCabe, Shaun Spelman, Orlaith Keys, Hamaad Sajid, and coach Roger Sherlock, impressed the judges with their recommendations for telecommunications firm UFINET as it coped with Latin American expansion and multiple changes in ownership. Denmark’s International Business Academy and the Netherlands’ Avans University of Applied Sciences both won bronze medals, while the host school won Most Spirited Team. Individual prizes went to Lars Vonk of Rotterdam University of Applied Sciences (Best Individual Presenter) and Prof. Albert Elam of the International Business Academy (Most Inspiring Coach). Prof. Giovanni Solís, Chair of the NIBS 2018 Organizing Committee, received the NIBS Distinguished Service Award for his significant contributions to this year’s event. The week-long tournament featured teams from 16 NIBS member universities, representing 11 different countries around the world. The 16 teams advanced to the championship round as the top finishers in a qualification stage held in the fall, open to all NIBS member schools. The NIBS Championship Round consists of a round-robin tournament, followed by a series of knock-out matches. Teams are given either three or four hours to read the case, come up with a plan, and prepare a presentation for a judging panel of academics and industry professionals. Competitors are not permitted internet access while preparing their solution. This year marked the return of a permanent trophy for the winners of the competition, following the retirement of the previous one in 2013. The new prize, a Mayan Mask, is a handcrafted reproduction of an authentic jade artifact, symbolizing the contributions of peoples from around the world to human knowledge, culture, and progress.